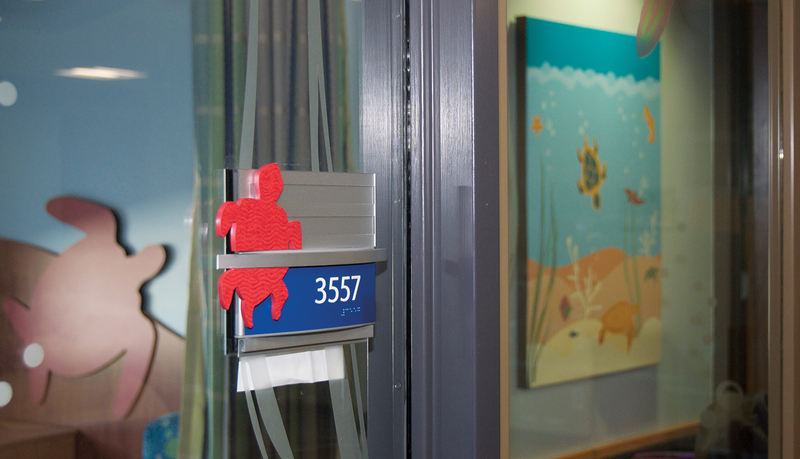 With 43 years at its previous site Woman’s Hospital realized that it was undersized to meet the needs of the women and infants it served in the community. 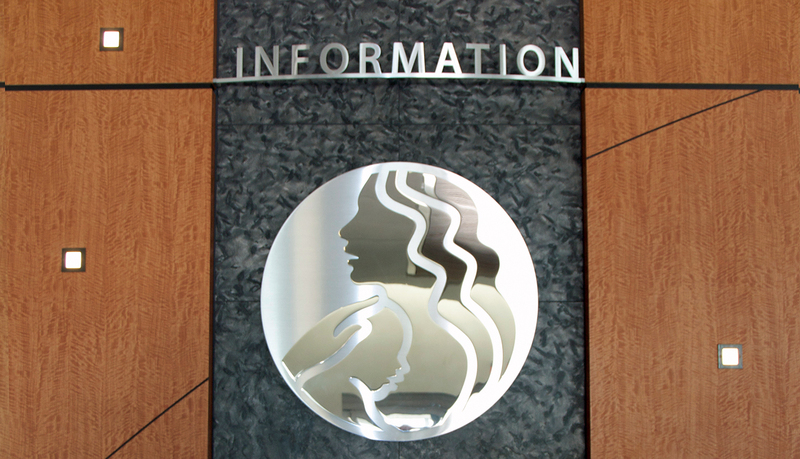 A new campus opened in July 2012 that included a 497,000 sq. 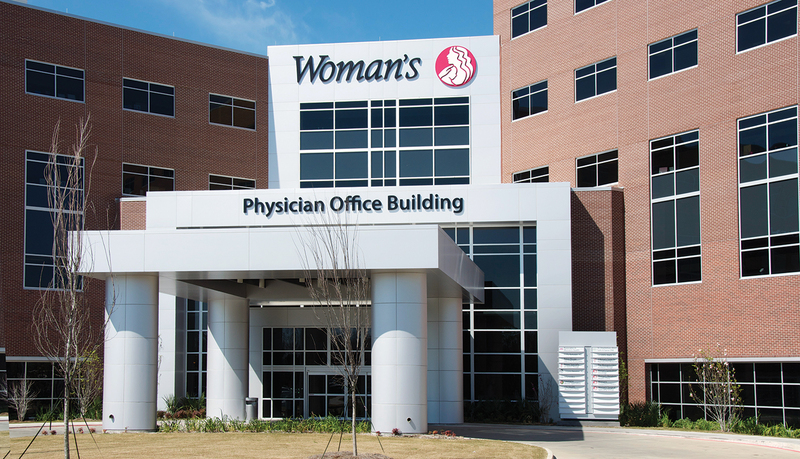 ft. Hospital building and a 249,000 sq. 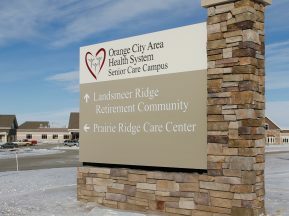 ft. Medical Office building along with a Support Services building and a Central Energy Plant. 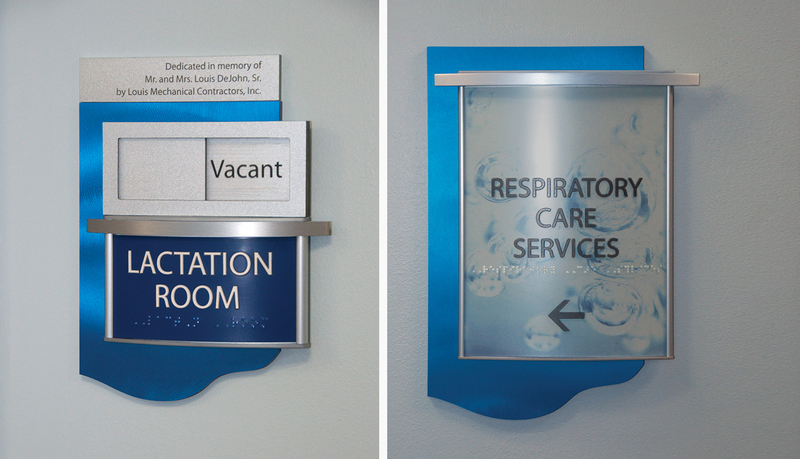 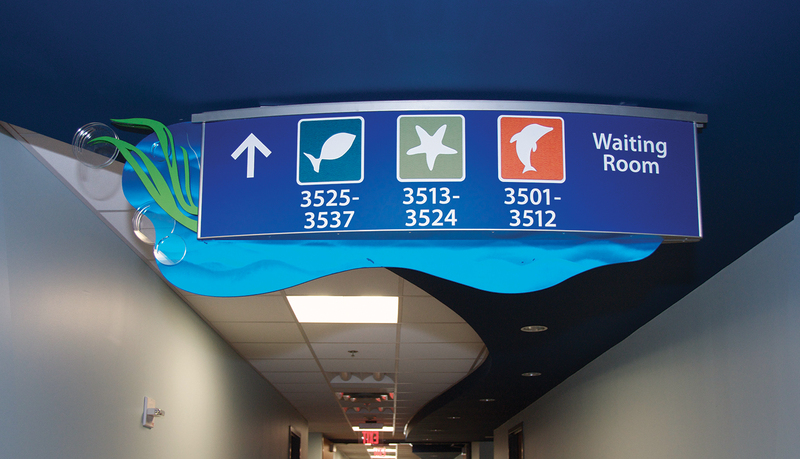 Wayfinding was critical to this project along with meeting current ADA guidelines, incorporating the hospital’s brand in exterior signage as well as incorporating an “Under Water” nautical theme in the hospital’s NICU. 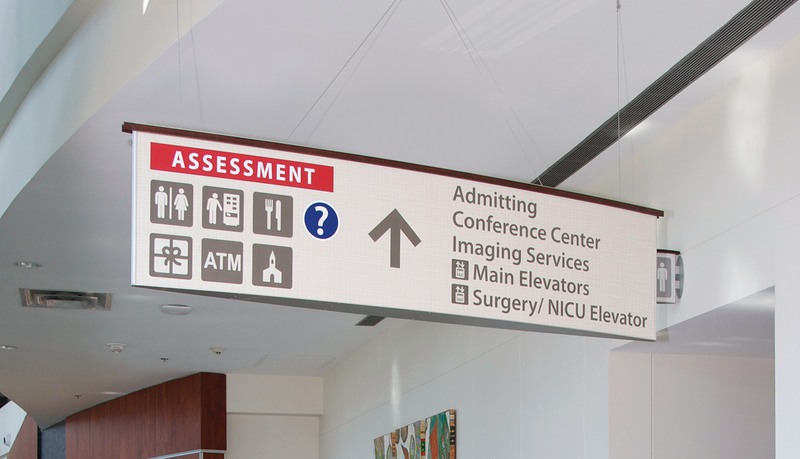 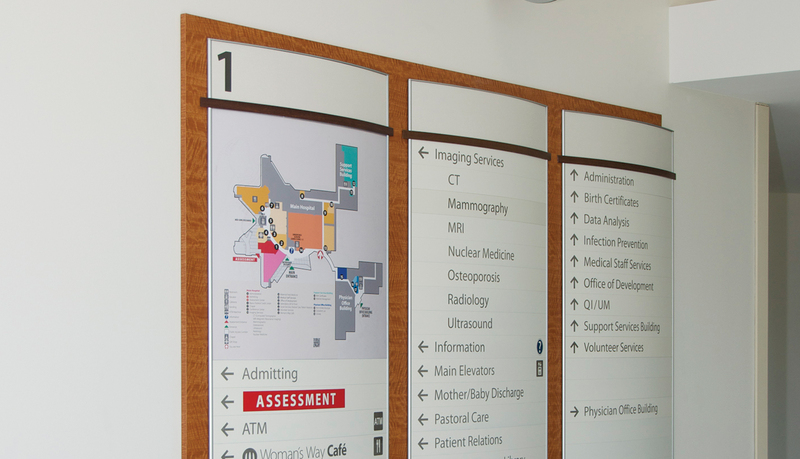 ASI met with over 50 hospital departments to develop patient flowcharts and traffic patterns for wayfinding for the hospital, medical office and expansive parking lot. 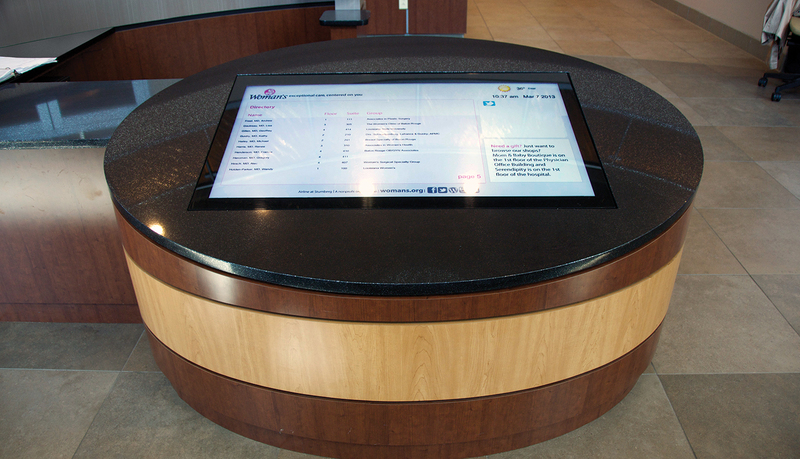 ASI contracted with Commercial Design Interiors to help with programing and design of the system. 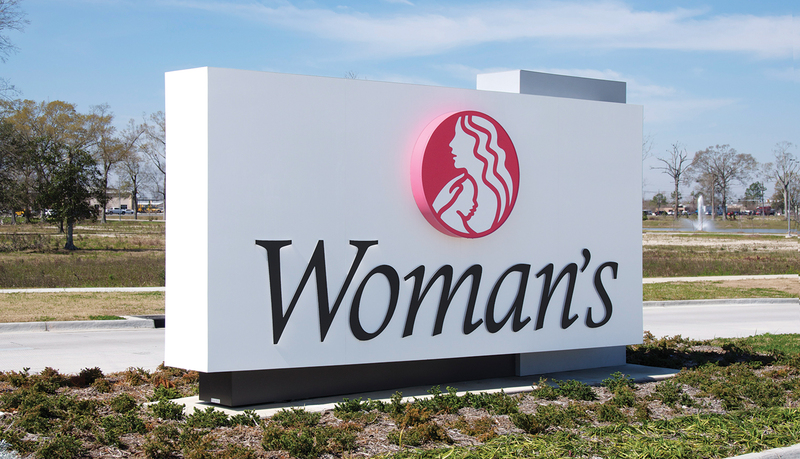 Utilization of a standardized interior signage system that could be customized, easily changeable, fit the design aesthetics of the building while staying within the budget and enhancing the Woman’s brand were all critical to the project. 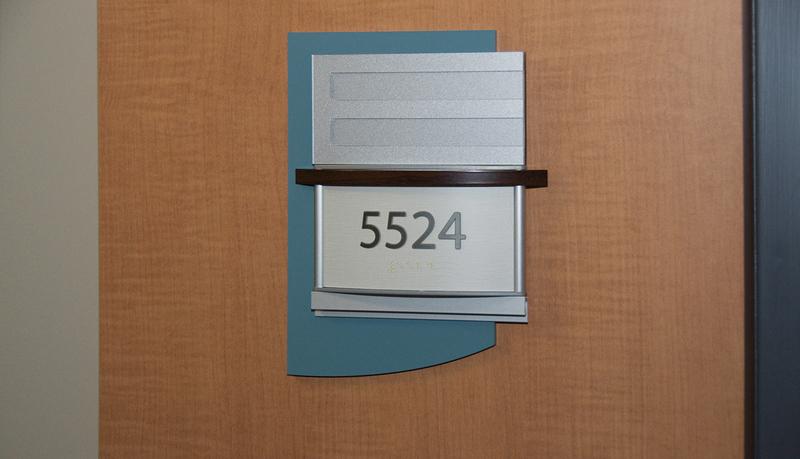 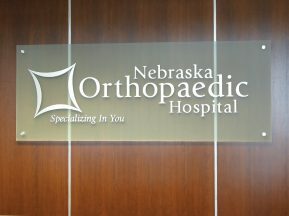 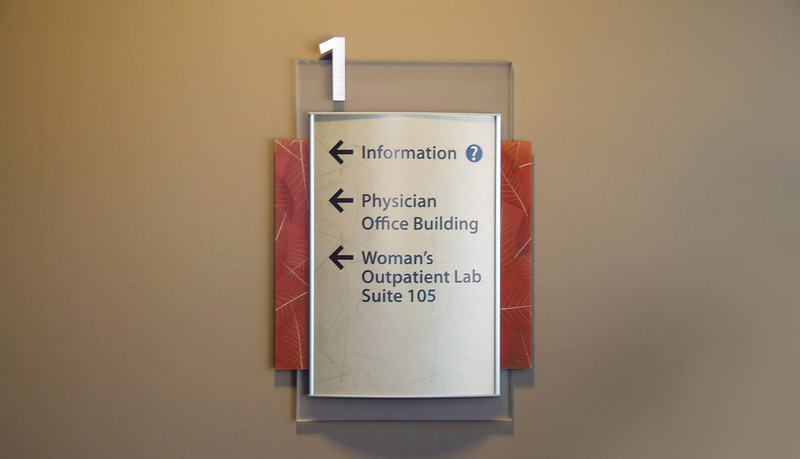 The solution utilized a standardized ASI sign system and added custom features to create a unique look. 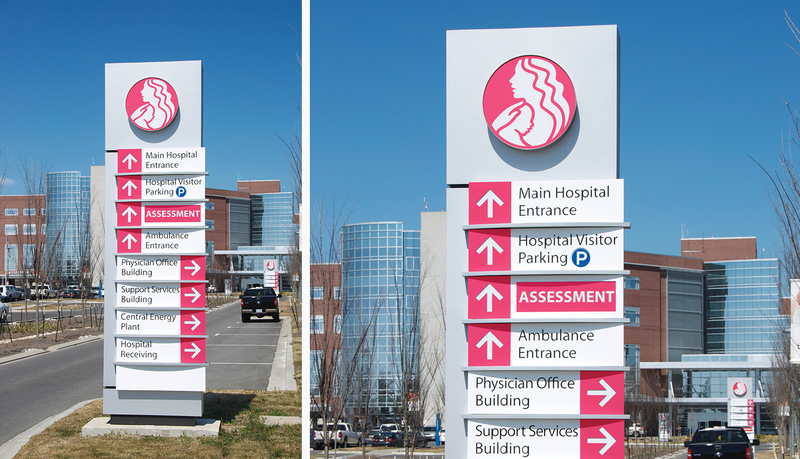 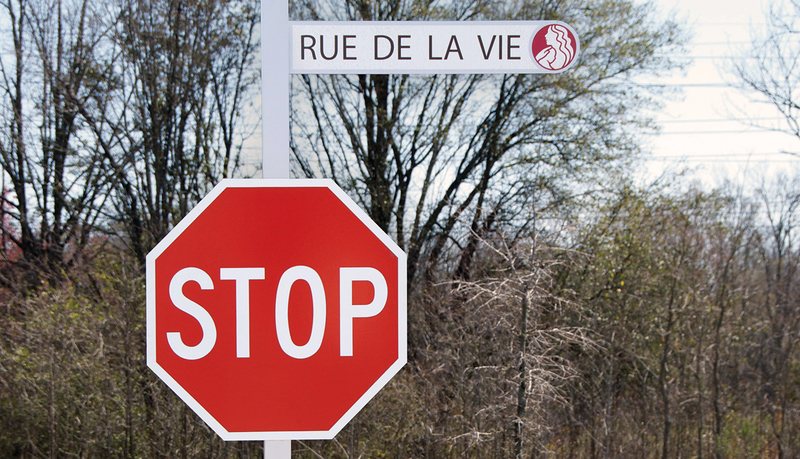 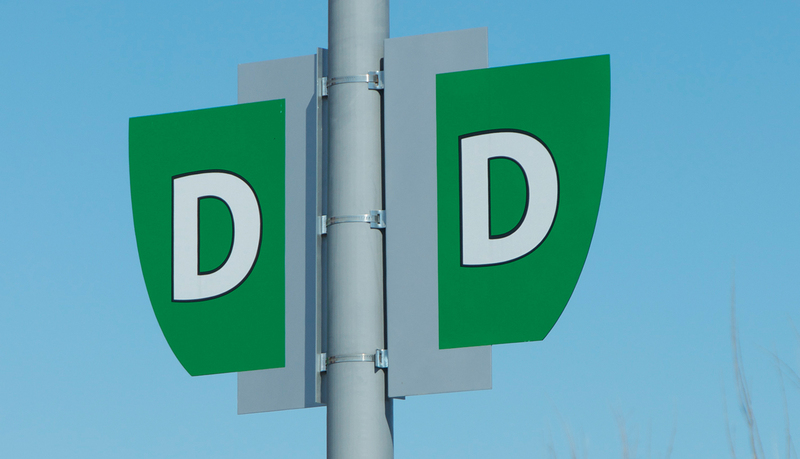 Exterior signs needed to be durable, able to withstand high traffic and extreme outdoor conditions. 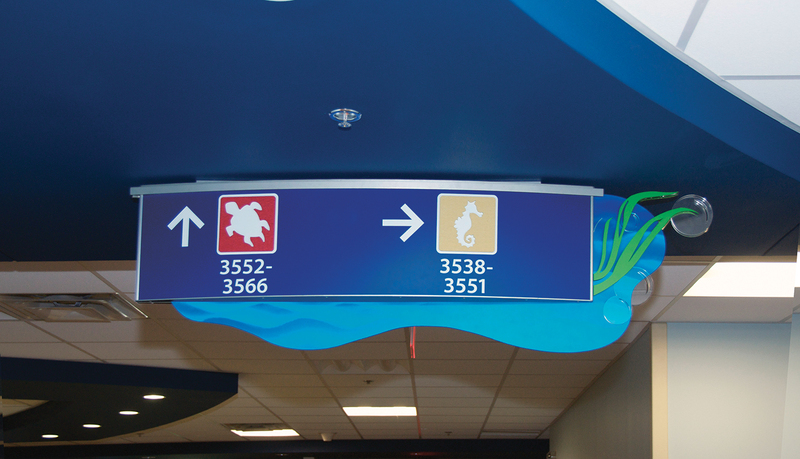 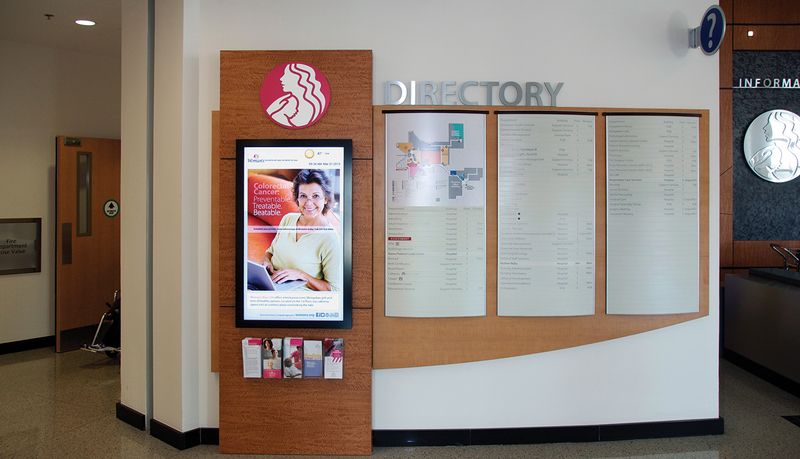 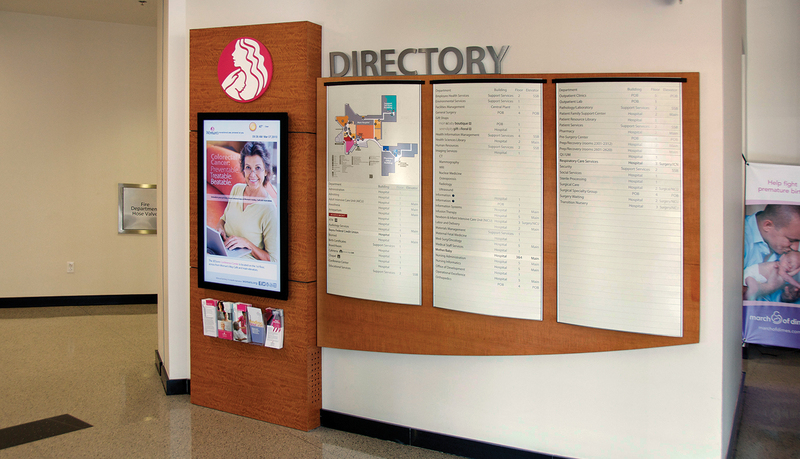 ASI managed the fabrication of more than 50 sign types and over 3,500 signs that included illuminated and non-illuminated exterior signage, ADA and Non-ADA interior signage and digital directories. 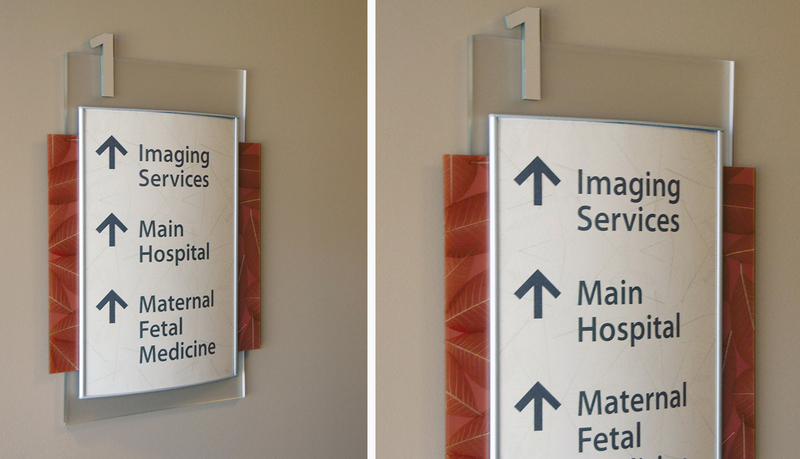 ASI, Mirtec, Imagefirst and Precision Letter were the major suppliers. 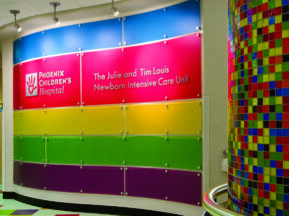 The project was 100% custom, which required some modification of standard product lines. 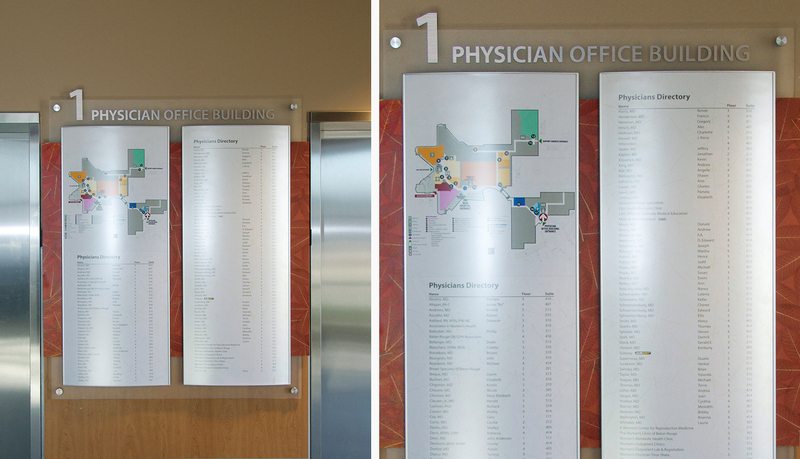 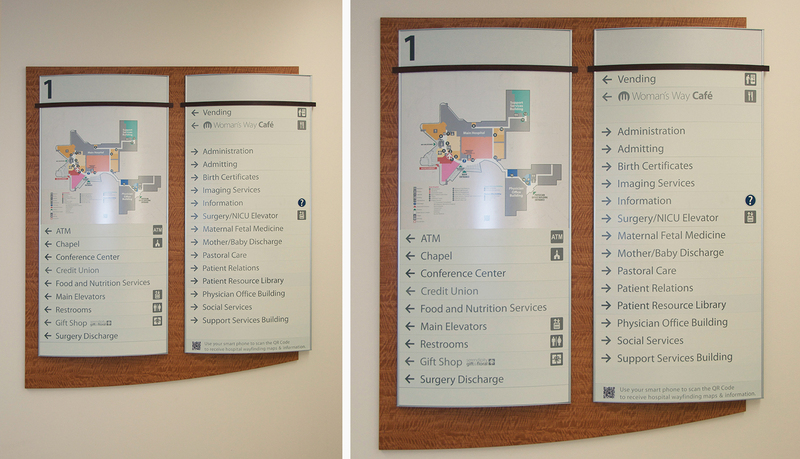 Interior signage featured printed and wood grain laminates that matched the wood used in the buildings. 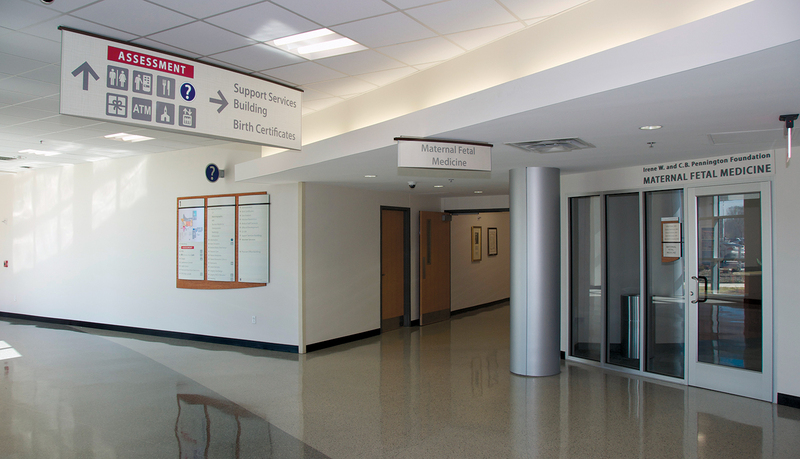 The curved shape of corridor and patient pod wings became a theme throughout the design. 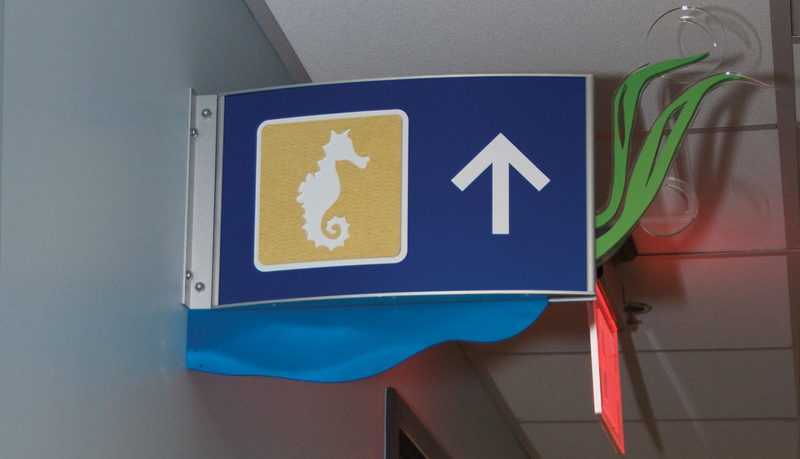 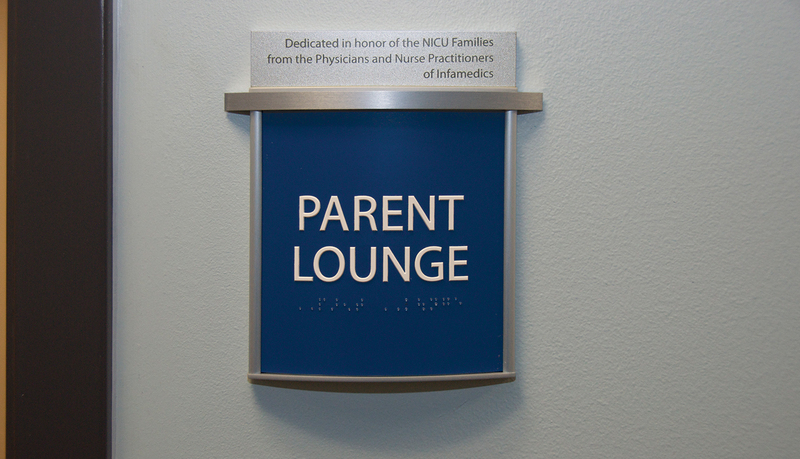 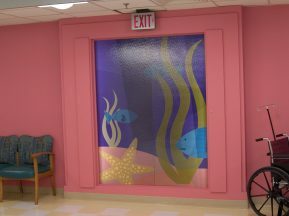 The NICU “Under Water” theme included sea creatures, seaweed and bubble accents which were incorporated into the signage design. 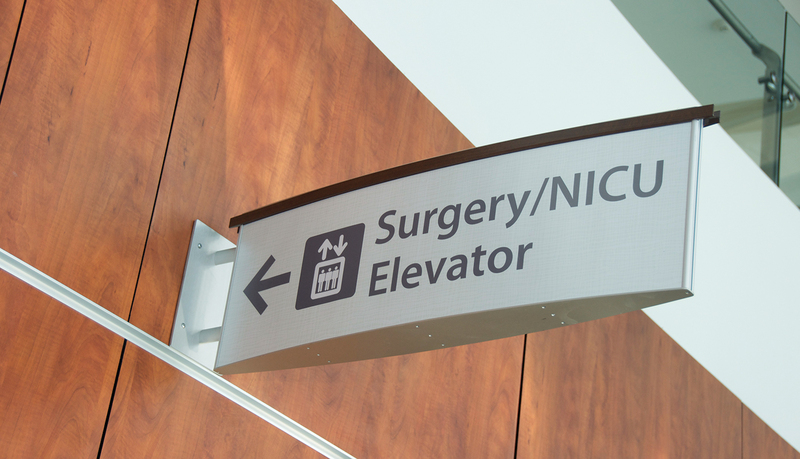 Exterior signage was designed around the concrete stair tower and the shape of patient pod wings and featured the Woman’s Hospital logo.